Widowsorwidowers.com is the longest running widow and widower dating site in the UK. Since 2004 we have been delivering a service ensuring a premium online dating experience. With fifteen years bringing widows and widowers together, we understand the importance of going at your own pace and meeting others who can genuinely relate to your bereavement.  Our fully optimised platform allows you to directly connect with other widows and widowers based in towns and cities throughout the UK, providing the ideal conditions for romance to flourish. We value the life experience of each member, and suggest matches based upon location and shared interests: striving to ensure the greatest possibility for genuine relationships to form. Finding love again following the loss of a partner is something that can only happen when you are truly ready. Connecting with those who have also lost a partner can make the process of forming new friendships that much easier. Being able to share your loss in the company of other widows and widowers can help to make those first conversations more relaxed and easy-going. Sending messages to each other via private messaging in a safe and familiar environment gives you the opportunity to get to know others gradually. Only you will know when the time is right to take things further, safe in the knowledge that you have established a rapport and are ready to start dating. Gradually your confidence will grow, enriching your dating experience. In 2019, using online dating and dating apps to meet someone has become commonplace. For widows and widowers seeking to find love again, our range of articles and resources help provide the support and guidance to find your way after losing a partner. We also provide stories of those who have gone on to establish relationships and success stories following the loss of a loved one. To maximise your chances of finding success, we’ve enhanced the member area of Widowsorwidowers.com to include members with all interests and characteristics. You can still use our search settings to find exactly who you’re looking for. Also, there is the facility to search locally or further afield to help you find that special someone. Register today to start your search.